Jake Gittes: All right, Curly. Enough's enough. You can't eat the Venetian blinds. I just had them installed on Wednesday. Q: What is Noah Cross' ultimate plan? Q: Is there a sequel to this movie? Q: Is "Chinatown" based on a book? From the first 10 minutes of the first time I saw this movie in the theatre, I've truly loved it, more any other movie I've ever seen. Why? Well, that easy, it's just so... PERFECT! Obviously there are many other great movies, and many other movies I personally also love, but Chinatown has a real spell over me. Other fans have commented here on the story and the spellbinding way that the forlorn and utterly mysterious story unfolds. I certainly agree. Chinatown's cinematography and editing? Yes, I agree again! IMO, it's breathtaking, with pacing so tight that I sit straight up thru the whole movie and my nerves become completely raw every time I watch, listen and FEEL it again. I don't think anybody has commented yet on the great choice of the many supporting actors. Each one so well cast and very believable in their roles! You've got the entire cast credits list (thank you IMDb) so I won't list them here but there are so many memorable performances here! It would be unfair to highlight one, two or three! Good cops, bad cops, ugly rich, up-and-coming, downtrodden poor, the very honest and very crooked with all shades in between! Each and every role a character study in and of itself and together they make a living "time capsule" of the forties that we can revisit for generations to come. And then there's that sound track which hooked me on great trumpet players and the Est Coast Jazz sound of the era. I just love that music and way it interweaves with the ongoing theme - it's perfectly united with the faithful and compelling use of the film-noir style. I saw this movie first in Chicago and heck, back then I knew nothing about LA, though I've since moved to and lived in the area for years. Once relocated, I quickly discovered the historically interesting side to the story and then appreciated the movie from yet another compelling angle. No question, the plot is fundamentally sound with many totally unexpected and yet quite plausible turns. But I later understood that it's within the realm of believability from factual standpoint, as well as intellectually/emotionally. Geez, I'll never forget that first confrontational scene at the Albacore Club! The study in absolute raw and evil power as masterly portrayed by John Huston. In the very same scene Jack Nicholson skillfully paints the subtleties of his cautious, cynical, small-time hustler character. The air crackles! I must have played this scene in my mind a thousand times. When I visited Catalina Island for the first time in about 1985, not knowing its significance to the movie, I walked by the Albacore Club (The Tuna Club in real life) and froze transfixed. I recognized it instantly of course, and I must have stood there gawking for 20 minutes not saying a word. I could literally HEAR the Chinatown theme - the memories were that clear and fresh! 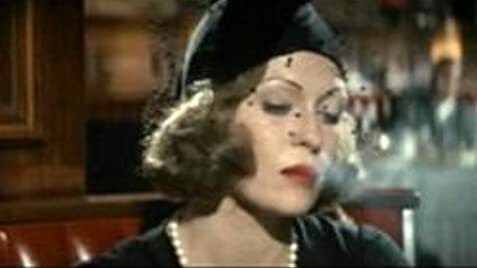 In closing, I guess then what does it about Chinatown for me (why I feel so strongly that it is the very best movie of all) is that every facet of the movie construction, from the opening scene to the ending credits, somehow fits together in a homogeneous, complete and absolutely flawless way. I find it fascinating to analyze the characters and their makeup. To imagine the reasons they did what they did. But there is NOTHING I would change. Nothing. 223 of 354 people found this review helpful. Was this review helpful to you?